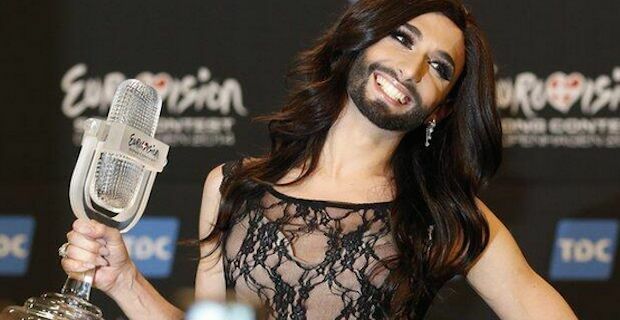 There has been a backlash in Russia to Austria's Eurovision win. Conchita Wurst, aka The Bearded Lady, won the song contest in style on Saturday night as Austria received warm congratulations from all corners. Conchita Wurst, whose real name is Tom Neuwirth, created his drag persona as a symbol for tolerance for things that appear different to social norms. This fiercely clashes with Russian ideals where homosexuality is not tolerated at all and there are even laws in place to fight "gay propaganda". However, the reaction in Russia has been mixed with many men taking to social media to post pictures and videos of themselves shaving off their beards in protest. High profile media personalities including rapper Alexander Stepanov and Russian broadcaster Andrei Malakhov have posted their beard shaving to their accounts. The Russian Orthodox church has also condemned Wurst's victory with Vladimir Legoyda of the church information department "The process of the legalisation of that to which the Bible refers to as nothing less than an abomination is already long not news in the contemporary world. Unfortunately, the legal and cultural spheres are moving in a parallel direction, to which the results of this competition bear witness.saying". A large part contributing factor to this whole debacle may be the boos Russia received throughout this year's Eurovision. The boos were thought to be a protest from the audience to Vladimir Putin's stance on homosexuality as well as recent actions in Ukraine.